In Singapore’s increasingly affluent population, estate planning has become an important aspect of our lives. However, while the term “estate planning” is bandied around a lot, not many people know what it truly entails. 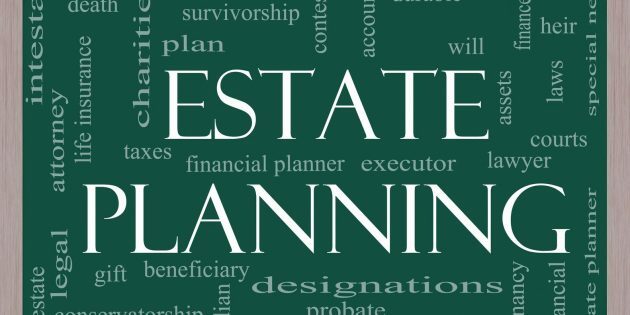 Estate planning is the process of determining what you want to happen to your estate, which includes all the rights, titles, and interests that you have in the property you own. There are a number of things to consider when planning what happens to your estate. Usually, most Singaporeans will consider drafting a will for the distribution of their assets after passing on. Other times, they many wish to make gifts to people during their lifetime (inter vivos gifts) or to create a trust over their assets. When preparing a plan for your estate, consider the accumulation of that property, how you want to conserve its value, and finally how you want to distribute your estate after your death. Throughout this process, you should consider the best ways to effectively and efficiently accomplish these tasks, and a good estate planning lawyer can assist in helping you along the way. Preserve family wealth that has been passed down through previous generations. Use the wealth you’ve accumulated as desired during your lifetime. Pass on to your friends and family the greatest possible amount of that wealth in the appropriate form after your death. Who needs Estate Planning in Singapore? It’s almost become a cliché to say it, but as every good financial planner and estate planning lawyer will tell you, almost everyone needs to plan their estate in Singapore. It doesn’t matter how much money you have. Most of the time, even if you don’t think you’re wealthy, some degree of planning will help ensure that there will be adequate protection of your dependents should something untoward occur. 1) When you have children under the age of 21. In Singapore, only the parents can specify the guardians who can care for their children upon their death. This is usually provided for in a will and you need to specify who will care for the children and how you will provide for that care financially should anything happen to you. 2) When you have assets in multiple countries. It’s not unusual for Singaporeans to own assets in countries other than Singapore. For example, some Singaporeans may own private properties in Malaysia and others may own shares of publicly listed companies in different countries. 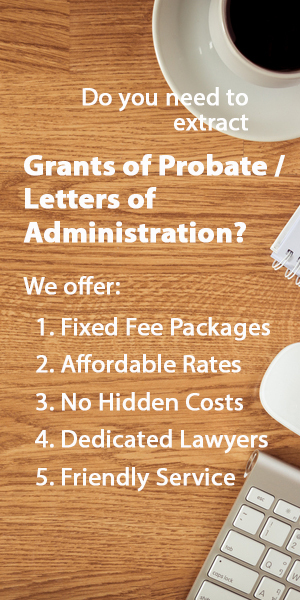 If so, planning your estate properly from the start may assist your executors from a lot of tiresome hassle when they eventually have to extract the grant of probate. 3) When you own a business. If you own a small business, regardless of whether it’s a sole-proprietorship, partnership or company, it has a certain value, and you should consider what should be done with your interest in the business should you pass on suddenly. 4) When you want to apportion your assets in accordance with your wishes. Usually, most Singaporeans who wish to choose how their estate will be divided amongst their family and friends will have a will drafted to specify their wishes. If you don’t have a will drafted, your estate will be distributed in accordance with the rules of the Intestate Succession Act, and the distribution can be different from what you had in mind. 5) When you may possibly lose mental capacity in the near future. In the event you may lose mental capacity in the near future, whether because of disease or some other reason, it is usually a good idea to appoint someone to be your surrogate decision maker by creating a Lasting Power of Attorney. This person will be able to make decisions regarding your personal welfare as well as your assets, and should be someone highly trusted. If you'd like to hire an affordable, vetted Singapore lawyer to create a Trust Fund or to assist in estate planning, get in touch with us here.